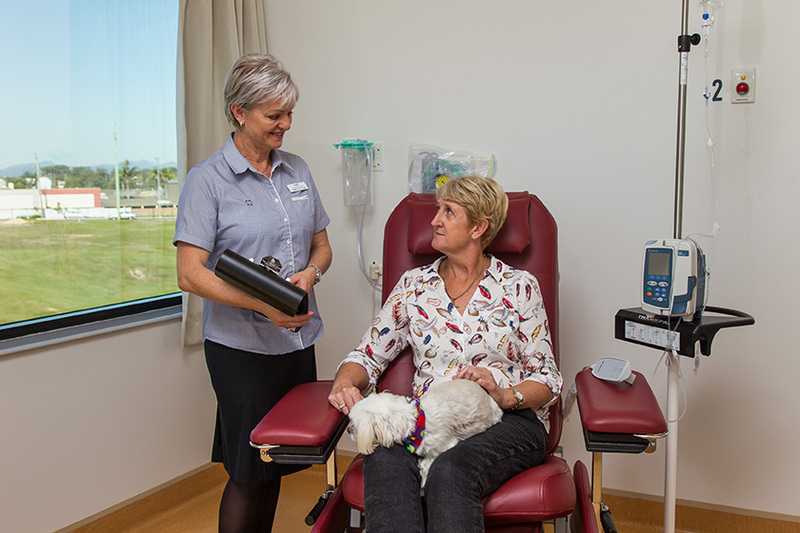 Tasman Health Care is committed to providing patients with access to new oncology treatment opportunities through the integrated Consultancy rooms, Tasman Health Care Day Infusion Unit, Tasman Oncology Research unit and the Tasman Health Care Pharmacy. These units work closely together to ensure efficient and coordinated care. Tasman Health Care Day Infusion Unit has an open and spacious layout with licence up to twelve infusion chairs and has two private rooms when required. Tasman Health Care Pharmacy is located on site and provides all pharmacy services for Tasman Health Care patients. More information on our pharmacy capabilities and facilities can be found here. Tasman Oncology Research is a well-resourced and well-published clinical trials company with their own dedicated suite next to the infusion unit. A referral from your GP or specialist is required to make an appointment with one of our oncologists. When you have a referral, please phone reception on 07 5613 2480 to book an appointment. If you are unable to attend your appointment or are running late, please phone the clinic as soon as possible. We endeavour to ensure you are not kept waiting, but unfortunately, sometimes due to reasons beyond our control, there may be a short wait. Should you require treatment in our Day Infusion Unit, our friendly staff will guide you through the admissions and registration process. We recommend that you travel to and from the hospital with a carer, friend or relative for your first treatment. Free patient parking, including disabled access, is available underneath the building via Cougal Street. You may be asked to provide proof of your appointment to the cark park attendant – your appointment card will be sufficient. There is free Wi-Fi available for Tasman Health Care patients. Please see reception staff for login details. The Black Lamb Espresso Bar is located on ground floor of the Pacific Private building. It caters for breakfast, lunch and everything in between. We are pleased to be able to offer the option of overnight accommodation available at a Paradise Point residence for patients travelling long distance. Please contact the clinic for further information. 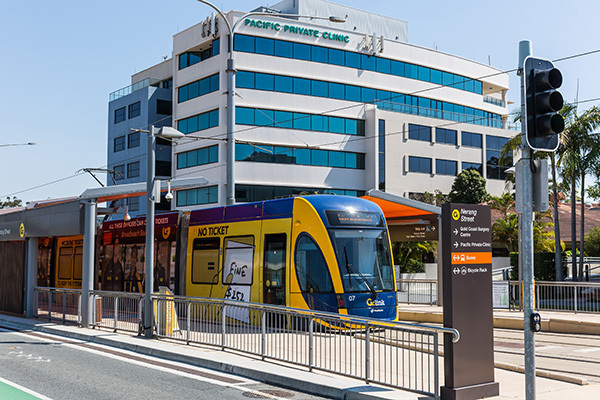 The Gold Coast is one of Australia’s most iconic holiday destinations, known for its spectacular beaches, booming culinary scene and famous theme parks. 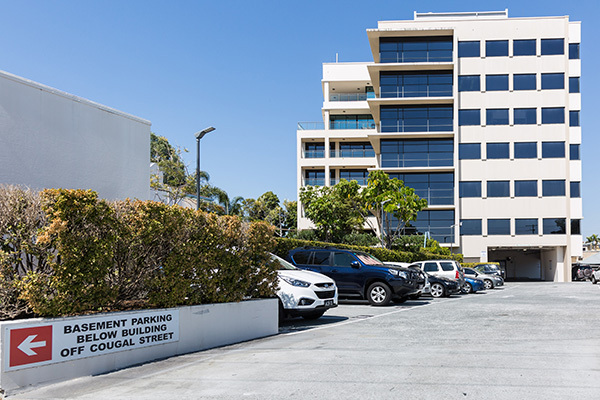 Tasman Health Care is conveniently located in Southport, the heart of the Gold Coast. 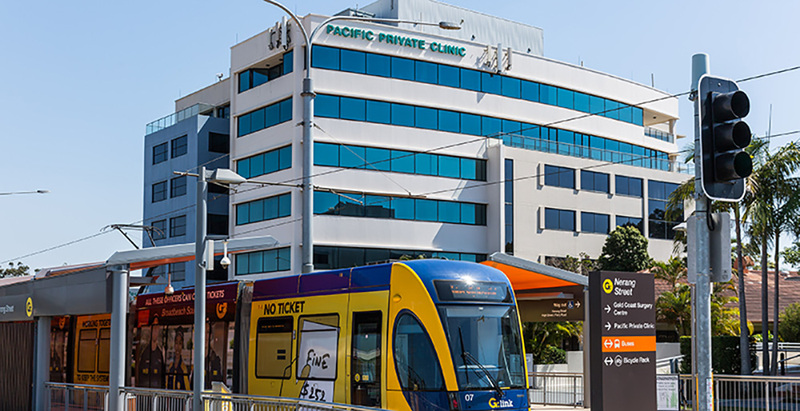 Half an hour from the Gold Coast Airport and easily accessed by public transport, with a range of accommodation options nearby it is well-suited for international patients. Through our close relationship with pharmaceutical suppliers, we can provide maximum value for our clients. A cost estimate can be forwarded through to international patients seeking to pursue treatment at our facility. Please contact our clinic for further information. Our fees are competitive and we have affordable pension or healthcare card holder rates. Please phone reception for more information. We accept all major credit cards, cash and EFTPOS. Check with your bank regarding any daily limit as most financial institutions have a daily limit of $1000. Please be aware that when paying by credit card, a surcharge will apply. We do not accept personal cheques or Diners credit cards. Details of your health insurance should be provided prior to your admission. Depending on your type of cover, you may pay an excess or co-payment on the day of your admission. Health fund policies require members to serve waiting periods before they will provide cover. We strongly recommend that you contact your health fund to confirm your cover prior to your admission. Tasman Health Care will lodge a claim with your Private Health Fund. Oral medications, prescribed for you to take at home are not included in your hospital admission. These items will be invoiced at cost. If you do not have private health insurance, you must pay the estimated cost of your fee on admission. As this is an estimate only, any additional procedures performed may incur an extra fee therefore an invoice may be posted to you. There is no Medicare rebate for these fees. In certain circumstances, uninsured patients may not incur day unit infusion fees. In addition to the information provided to you by your treating doctor, nursing staff will provide you with both written and verbal information on your treatment regime and potential side effects. Do not worry if you cannot remember all of the information; we will repeat it often and always welcome questions. Nursing staff will follow up with a phone call within 2-3 days of your initial treatment. This provides you the opportunity to ask any further questions and assess any side effects that you may be experiencing. An accredited interpreter service can be arranged where necessary. Charges may apply. Our clinic hours are Monday to Friday 8:30am to 4:30pm. An answering machine is activated outside these times. For urgent calls outside clinic hours, contact your treating doctor. For non-urgent matters, please leave a message and include your name and contact number.